I recently developed this article to show to students how we can develop a clear idea of a remedy from what we know of the family and what we can observe of the individual. Slowly this will be confirmed or modified in clinical situation. I am grateful to the late Patricia Le Roux for the work she collated on butterflies and for suggesting the remedies might be useful in ADHD, which sparked of this journey. There is a wonderful novel, Flight Behaviour by Barbara Kingsolver, which traces the nature of the Monarch Butterfly and the predicament brought about by global warming. The story told through the eyes of a woman describes the remedy picture of DANAUS PLEXIPPUS perfectly, a parallel story of the general features of butterflies and the particular aspect of DANAUS PLEXIPPUS. Butterflies, if nothing else, are about transformation. Being animal that transformation is in the end about survival. For the butterfly the cycle from egg to caterpillar to chrysalis then, through a massive metamorphosis, to adult imago is in itself amongst the biggest transformation that the animal kingdom can make. In March and April the eggs are laid on milkweed plants. They hatch into caterpillars, also called the larvae. It takes about four days for the eggs to hatch. Then the baby caterpillar doesn’t do much more than eat the milkweed in order to grow. After about two weeks, the caterpillar will be fully-grown and find a place to attach itself so that it can start the process of metamorphosis. It will attach itself to a stem or a leaf using silk and transform into a chrysalis. Although, from the outside, the 10 days of the chrysalis phase seems to be a time when nothing is happening, it is really a time of rapid change. Within the chrysalis the old body parts of the caterpillar are undergoing a remarkable transformation, called metamorphosis, to become the beautiful parts that make up the butterfly that will emerge. The monarch butterfly will emerges from the pupa and feeds on flowers for only two to six weeks. This first generation monarch butterfly will then die after laying eggs for generation number two. The second generation of monarch butterflies is born in May and June, and then the third generation will be born in July and August. These monarch butterflies will go through exactly the same four-stage life cycle as the first generation did, dying two to six weeks after it becomes a beautiful monarch butterfly. The fourth generation of monarch butterflies is a little bit different than the first three generations. The fourth generation is born in September and October and goes through exactly the same process as before except for one part. 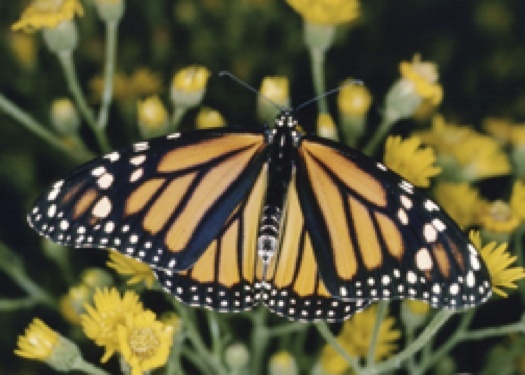 The fourth generation of monarch butterflies does not die after two to six weeks. 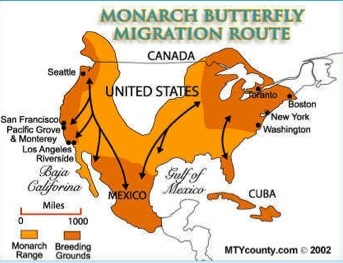 Instead, this generation of monarch butterflies migrates to warmer climates like Mexico and California and will live for six to eight months until it is time to start the whole process over again. In the Monarch this fourth stage cycle has a latent state in the life of the Imago and sexual changes in the adult females resulting in the complete or “perfect female”. Add to this the impossibly large geographical migration of thousands of miles that brings together environmental dependency on certain plants for the caterpillars to feed on and certain temperatures for the adults to sustain themselves. I first prescribed this remedy to a health practitioner who was changing her skill level to that of a mentor, a leader and a healer. Looking back at the case now I see that the other aspects of her life provided a full spectrum of the symptoms of the butterfly and in particular the Monarch. · Fear of abandonment, no guidance, unloved, unprotected, home is important. The adult butterflies come to rest together in large “swarms” to help control temperature and offset environmental threats. Environmental changes are threatening this stage of the cycle. The generation of adults that come out of the wintering swarms produce a new generation that starts the cycles again. These wintering sites are having to change because of environmental changes. 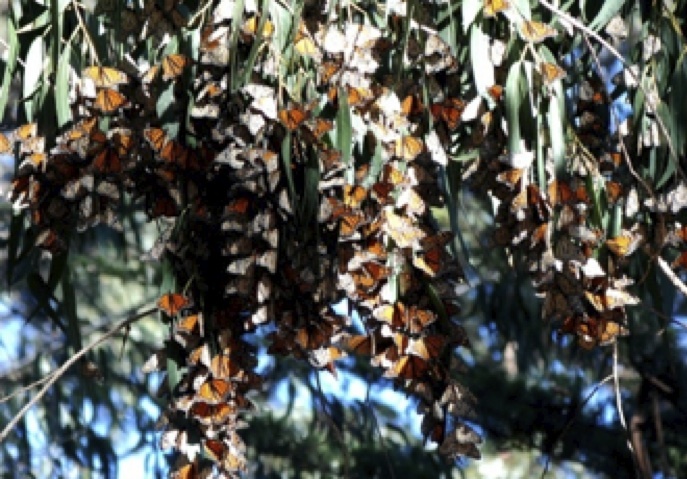 In Mexico the butterflies, as they emerge, are called the “souls of dead children”, so indicates how this remedy is connected to both our spiritual life and to unresolved issues in childhood. They may feel that they were unloved as a child, by either their father or their mother. Their parents may even have been absent. Their teenage years may have been troublesome and resulted in a sense of failure – not achieving at school, even early pregnancies resulting in studies being curtailed. Not emerging into adulthood with anything resolved. They may be physically childlike or maybe have childish traits (e.g. childish humour or sulking as an adult). They will be unclear about their sexual presence. This could be “not at ease” with their gender or mixed in their views on gender. Or they may attach to impossible relationships (like NAT-M but probably not quiet so romantically). This sexual ambivalence may show in their dress or the clothing might express their sensuality or their fantasies. Dressing in clothes that bind or wrap them (the cocoon). Dressing in childish clothes or dressing up. Butterfly remedies are considered in ADHA with all the flitting about and lack of substance of the butterfly. In Monarch the agitation can demonstrate itself more within the community – agitated politically or sensitive to the environment – unable to even think of the community. Issues that at first might look like dumbness or stupidity but underneath there is a fear of (or desire for) loss of community, habitat and the genetic line. They might just not be able to cope with groups at all and get agitated and can’t go out. The stimming of Autism might be demonstrated here, and give us some understanding of why the individual does this. The agitation might show in fine motor functions, like handwriting and I have seen this improve on a butterfly remedy. This can be all so intense that they escape in to fantasy or live with a parallel fantasy life, so their dreams can be of flying or of chaos but will be important. All this will be hidden, often, within a presentation of low energy or issues with food, eating disorders or strong cravings or avoidance. Reading Kingsolver’s novel first appearances would suggest poverty and deprivation but closer examination shows that there is enough food and that the life style, using recycled clothes and repairing machinery is sustainable rather then deprived. In the remedy the issues around food are imposed rather than from poverty or absence. Any deprivation comes from community or family relationships and the deprivation is in emotion, not even love. Any deprivation in wealth is down to social structures denying an individual’s rights rather than an actual lack. While individuals might cheat and connive in the end nature is king. The elements and the planet reign supreme, hence a remedy of today. They will “dance” about in an agitated way when they are talking or have no energy at all. They may be frail or almost ghost like. ME where there are times when they just have no energy, or periods of burn out and this goes in cycles. Their homes are important to them but even this may be unsubstantial – In the Kingsolver’s novel the house eventually just floats away. Equally there may be disputes about ownership and what is rightfully theirs. This person has trouble with grounding (TIGERS EYE but here the whole environment around them is at risk). They may also have strong desires to be somewhere else. They may feel better in certain climates or environments. The sensitivity will show on the skin with hives and allergic eczema and in the lungs, where there will be breathing difficulties or a sensation of suffocation. All this sensitivity and coupled with a real threat from the environment or family. This is a new remedy and like the butterfly itself needs careful observation and sharing of results.